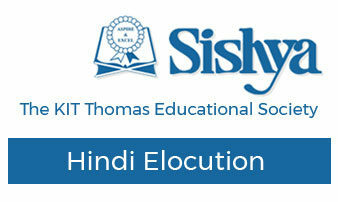 The Hindi Elocution was held on 13th of September 2012. This event saw the participation of students from classes 5 – 8. The judge for this year’s competition was Dr. Savitha D, Researcher and Professor of Hindi Studies and the topic was ‘Hasiya Ras’ – a collection of humourous poems and verses. Sutlej and Cauvery tied for first place while Godavari placed third and Narmada came in fourth. 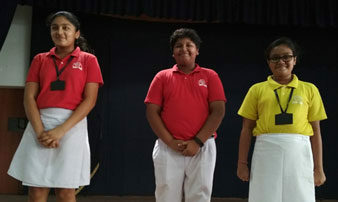 Disha Mitra of Godavari House was adjudged the best speaker from Class 5, while Aakash Jajoo of Sutlej House was awarded best speaker from Class 6. The best speakers from Class 7 and Class 8, were Dhruv Bhaiya of Cauvery House and Ritika Jain of Godavari House respectively. The Hindi Elocution was held on 6th of April 2018. This event saw the participation of students from classes 5 – 7. Each class was given a different topic that they had to speak about. The Hindi Elocution was held on 26th of June 2015. This event saw the participation of students from classes 5 – 7. The topic for this year’s competition was ‘Veerta’ – a collection of poems on ‘bravery’. The Hindi Elocution was held on 12th of July 2013. This event saw the participation of students from classes 5 – 8. 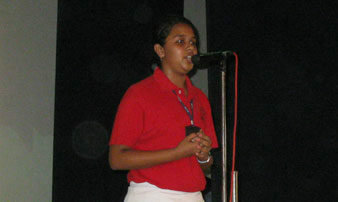 The topic for this year’s competition was ‘Prakriti’ – a collection of poems on Nature.